Jewelry is not simply an object. It helps fulfill a need, a dream, a desire. There is a great satisfaction when someone who hasn’t experienced custom design comes into our store and discovers how special it can be. 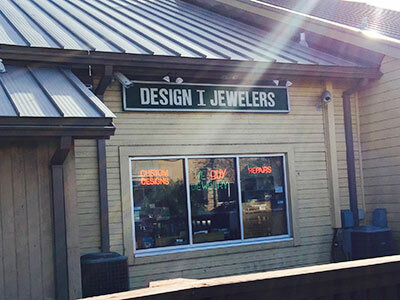 Design One Jewelers has been in business for over 35 years. We have built and earned our business brick by brick and customer by customer. We are not simply a jeweler in the buying and selling sense. We are consultants, craftsmen, artists and someone you can truly trust with your jewelry. We don’t want your business for a single jewelry job. We want to be your jeweler, and your family’s jeweler, for life. Originally located in an old dental office on Cleveland Street in downtown Clearwater, Design One Jewelers started strictly as a wholesale repair business. The idea was simple: pick up and deliver repairs for both independent and corporate jewelers (including Maas Brothers, Montgomery Ward, J.C. Penny and Service Merchandise.) Good word of mouth from those jewelers helped Design One expand and relocate to where it is today: in the heart of Countryside. Although most identified as being a “mom and pop” jewelry shop… (and we are to two Great Danes), Design One does a lot of everything: custom designs, appraisals, and buying and selling estate jewelry large and small, gold, platinum, sterling silver flatware and coins, just to name a few things. Honestly, there isn’t much we haven’t tried to do for our customers and after so many years, there isn’t much we haven’t seen. When in doubt, check us out. Our location is unique because it is in the heart of busy Countryside but a little off the beaten path. We are in Countryside Centre, (Yes, it’s really spelled Centre), in the same plaza as T.J. Maxx and directly across from Tuesday Morning.The shop is tucked away on a long wooden boardwalk that reminds one of a slower time and pace. The word charm comes to mind, because we feel charmed to have such a lovely view every day we work. Our “front” door is around back and faces a fountain filled lake that teems with turtles, fish and, yes, sometimes otters and alligators. It’s a beautiful location to do business and create something special. 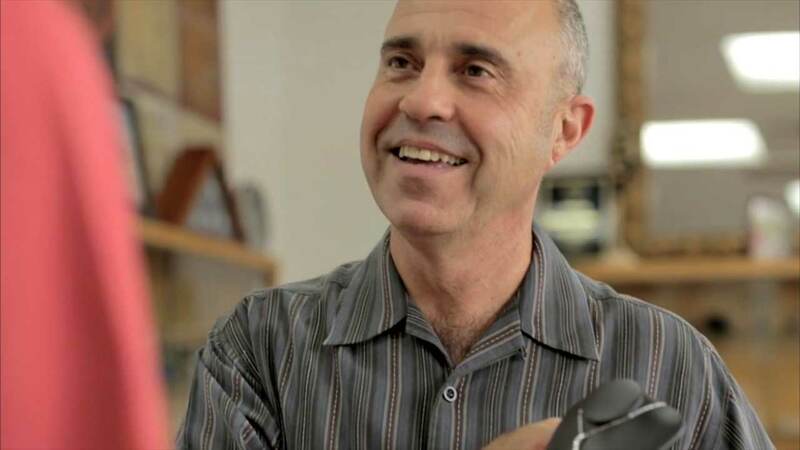 Paul is the co-owner of Design One Jewelers. With a background as a goldsmith, his skills include repairs, creating jewelry, setting diamonds and gemstones, casting jewelry, appraising and all of the practical hands on experience that comes with over 35 years in the jewelry business. When he was 18, Paul started working for Nobel Jewelers in Clearwater’s Sunshine Mall, one of the first malls in Florida. He was then offered a delivery job at Design One Jewelers on Cleveland Street, where he eventually gained more responsibilities in the trade. Design One hasn’t changed all that much over the 35 years in Countryside. Paul has maintained a certain sense of what the original shop had, while incorporating some of the latest techniques and equipment (CAD – Computer Art Design & Laser Welders). Roz married into the jewelry business but it has been a very natural fit. Her artistic tastes range from the sketch pad to the paint brush, from the bolt of fabric to the finished costume. She has been involved in the Arts, in one form or another, for the past thirty years. Marrying Paul meant she was able to take her artistic vision in yet another direction and she began learning how jewelry was created. Roz is also an actor and writer in the Tampa Bay area. She was a founding company member and costume designer for the Eckerd Theatre Company at Ruth Eckerd Hall, and is typically found onstage today with Jobsite Theater at the Straz Performing Arts Center.